Just wondering if anyone else has purchased a set of the 3D Maxpider Kagu floor liners. They are custom fit and obsolutely gorgeous as far as floor liners go. I was always a WhetherTech guy but ran accross the 3D Maxpider while researching options for the new CHR. My friends are amazed at the custom fit and refined look of the 3D Maxpider in my CHR. 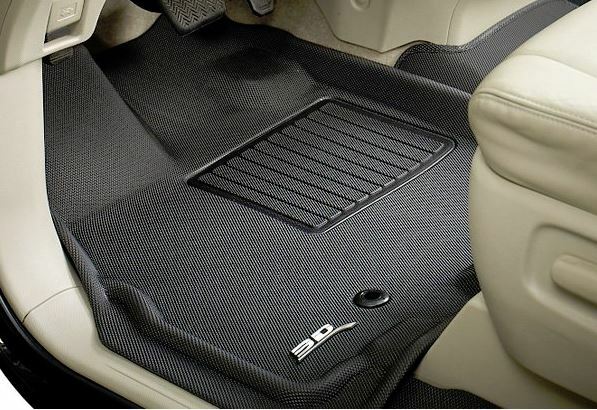 Just posting to get other opinions as well as provide information for those who may be looking for aftermarket floor liners. The attached pic is from a web retailer. I chose a pic that had the black floor liner and tan interior so that you can see the details of the floor liner more clearly. My experience is that the 3D Maxpider is similar to WeatherTech in terms of time and effort to clean. The dirt and mud come off easily with a power sprayer. It does take a once over with soapy water and bristle brush followed by a rinse to remove the winter salt stains that are infamous in the north country. I have had the CHR since the beginning of February and the winter in West Michigan was uncommonly intense during the last half of the season. My wife is a kindergarten teacher and they were off school for an entire week which is very unusual for Grand Rapids. So the 3D Maxpider has seen a good dose of Michigan slush but it does not represent a long term test. If anyone reading this thread has owned the 3D Maxpider for a few years, it would be nice to receive insight into the long term prospect for the 3D Maxpider in terms of aesthetic appearance.